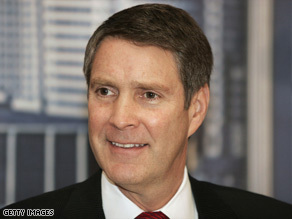 Editor's note: Bill Frist, a physician, is former Republican majority leader of the U.S. Senate and a professor of medicine and business at Vanderbilt University. (CNN) -- A legacy of President George W. Bush will be that he saved 10 million lives around the world. I was in the first row in the House chamber when three quarters through his State of the Union address, the president boldly said: "I ask the Congress to commit $15 billion over the next five years ... to turn the tide against AIDS in the most afflicted nations of Africa and the Caribbean" and "lead the world in sparing innocent people from a plague of nature." But even I -- who as physician in Africa had witnessed how this virus was hollowing out societies -- did not predict the huge global impact this Bush commitment would have on generations to come. In my annual medical mission trips to Africa during the Bush administration, I saw the cost of treatment for HIV with life-saving antiretrovirals (ARVs) drop from $4,000 a year to $125. The number of Africans on ARVs jumped from 50,000 to 2.1 million. And the multiplier effect of Bush making this a presidential global priority was reflected thereafter in every meeting I had as Senate majority leader with the world leaders, including those from Russia, China and India. If you were dealing with the United States, you'd better have made HIV a national priority, because we had. And it was more than HIV. Six months ago, Tom Daschle, Mike Huckabee, John Podesta, Cindy McCain and I (yes, we five of different persuasions do work together!) went to Rwanda on a fact-finding trip. Our visits with villagers all over the country opened our eyes to how Bush's five-year, $1.2 billion effort to combat malaria has provided 4 million insecticide-treated bed nets and 7 million life-saving drug therapies to vulnerable people. Yes, George Bush the healer. Future historians will also note what today's pundits ignore: total US government development aid to Africa quadrupled from $1.3 billion in 2001 to more than $5 billion in 2008. What's more, the Bush administration doubled foreign aid worldwide over the past eight years. You have to go back to the Truman years to match that. Secondly, Bush healed abroad, but he also healed right here at home. Before Bush acted, the nation's 43 million seniors did not have affordable access to prescription drugs (the most powerful tool a doctor has to prevent and treat disease) through the Medicare program. Today, because of George Bush, they do. Initially, conservatives howled because the prescription drug initiative "cost too much." Liberals hated it because it involved the markets and competition. But today, 23 million seniors live healthier lives, Medicare drug spending has been 20 percent to 30 percent less than predicted for each of the past two years and seniors overwhelmingly give the program enthusiastic reviews. And, in addition, the program is highly redistributive -- giving advantages the poorest, introducing preventive care to Medicare, encouraging electronic prescribing and introducing chronic disease management. Who says Republicans can't lead on heath reform? Thirdly, a lot of people forget that the health of a nation's people is more dependent on behavior and education than on health services -- the doctors, hospitals and insurance companies. Infant mortality is three times higher for a woman who did not graduate from high school when compared with one who has a college degree. And the president focused laser-like on improving K-12 education by demanding transparency and accountability, and raising expectations. The U.S. ranks a miserable 21st in the world in science and 25th in math among 15 year-olds. President Bush made the education of our children a moral issue. To maintain our now slipping global competitiveness, we have no choice but to radically transform the K-12 education system over the next decade. And historians will say it all began with the groundbreaking No Child Left Behind legislation of President Bush. I've had the privilege of knowing George W. Bush personally and as president. I have seen his passions. Naturally, he will be judged in the short term for his role in waging the war on terror, keeping America safe since 9/11 and acting on his belief in promoting liberty aboard. Over time, however, it is the foundations he laid for healing. for the most part ignored by mainstream media, that I am confident will be his enduring legacy.